sleeping spaces, conveniently located bathrooms, etc. have been included to take advantage of the efficiency of the design, which has less than 24 square feet of hallway. The design benefits greatly from a concept of "separately built" Living/Dining, Cooking, Sleeping and Outdoor Social Spaces. 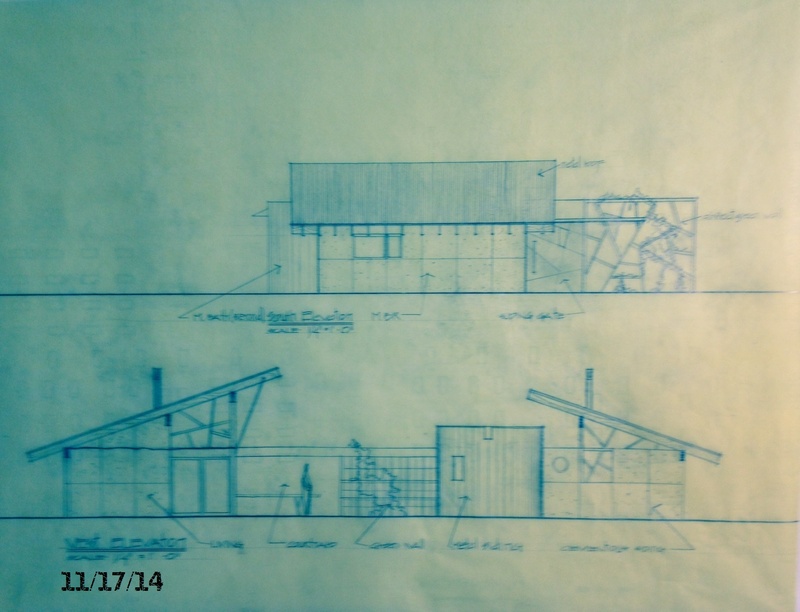 The sketches shown here are the original hand drawn sketches on tracing paper. This is a small prefab cabin to be pre-fabricated, deconstructed, transported and reassembled in the high desert of the southwest near Kanab, Utah....more. This is a house for a musician/singer/songwriter/pianist and a writer of children's books with two children. The project is to be located in Etna, Wyoming and will combine prefabrication and site-built design and construction. 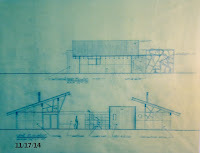 This house is just under 1,000 square feet and will incorporate two modular "container" shell units into a home with all required spaces for a truly unique residence in Madison County Florida. 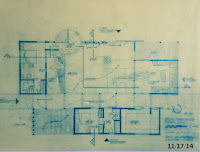 The drawings have been completed, permits procured and is now under construction by the Owner. 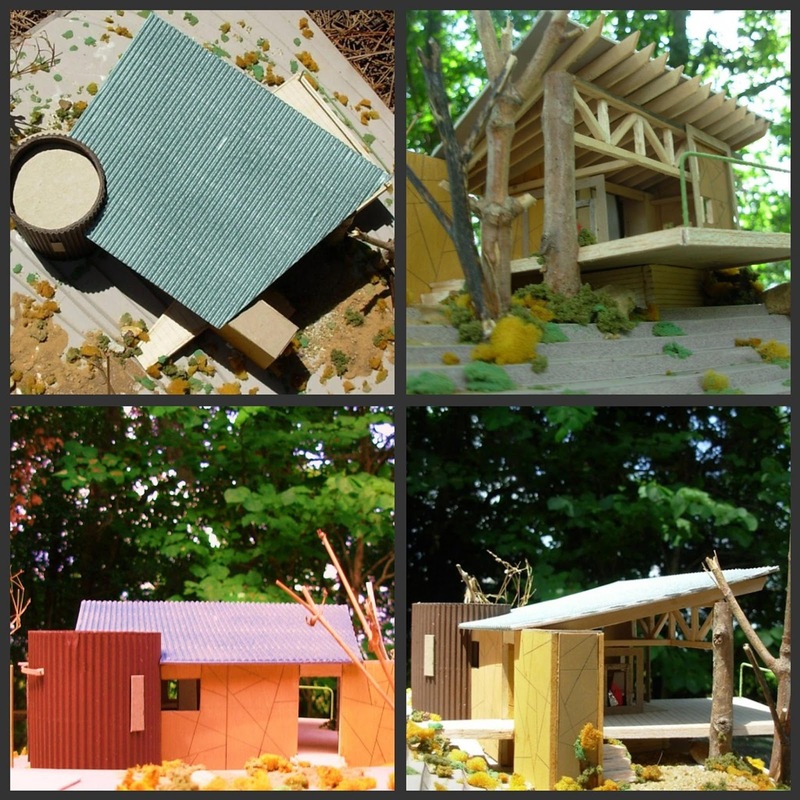 The following collection shows just some of the successful projects that have been completed by Doyle Lee Stafford Architect. As stated on the Welcome Page and The Services Page, Doyle Lee Stafford Architect specializes in smaller projects for an owner or client in need of professional design services, with timely, cost effective solutions to specific architectural or construction problems. Basement "Loft" Renovation - With only 850 square feet and a very tight budget, a design was completed for an existing basement space in an existing residence for a retired couple. First, a comprehensive program was completed, then a design was developed and detailed construction documents were prepared. A budget was developed and construction was implemented and managed by the architect. Through the repurposing of existing paneling, exposure of existing heart pine structural elements and simple planning, the design includes a large living/dining space and kitchen with all new appliances and cabinets. A large bedroom with walk in closet and newly outfitted bath was also incorporated. With the exposure of old rough sawn structural elements, concrete masonry and the use of simple finishes with a simple color scheme, an open, spacious "loft" aesthetic was achieved throughout the entire space. The project was completed for a budget of $14,500 at $17 per square foot, well below the national average for interior renovation projects of this type. Other documents included an "Owner's Manual" with a complete project history, samples of all finishes, cabinets, appliances, fixtures, warranties and contact information for all tradesmen and suppliers. Tea Room Conceptual Design - A client planned to convert and renovate an existing commercially zoned vintage residence into a Tea Room & Cafe containing retail space, a dining space with seating for twenty four, kitchen and "tea bar" for the serving, tasting and purchasing of exotic teas. After a thorough inspection, measurement of existing spaces and code review for life safety, ingress/egress and parking, Design Documents were completed. The Design Documents included color coded, scaled floor plans, equipment layout and furniture layout and complete Design Specifications. Existing Space Documentation - A 5,000 square feet office/retail space was measured, dimensionally confirmed and Record Documents produced to be used for future leasing and interior improvements. 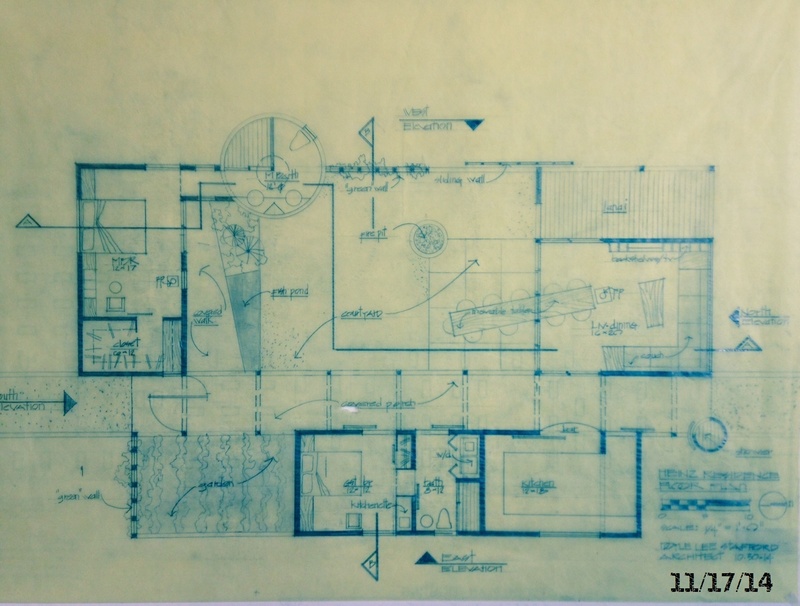 Documents included a fully dimensioned Floor Plan and a Lighting- Electrical Plan, showing all fixtures, switches and equipment locations. Work was completed in two days. Consultant for Rerouting Existing Plumbing - A commercial space that was planned to be subdivided needed new and separate plumbing facilities to be rerouted from existing plumbing lines. An inspection was performed and a consultation report was completed with several options to complete the new work for two separate tenants. Work was completed in two hours. Door Installation Detail Drawings - A tenant needed to install a new exit door from an existing commercial space to comply with the governing building code. An inspection was performed, measurements made and detailed installation drawings for the new door were completed for review and approval by permit authorities and use by the installing contractor. Work was completed in six hours.